In the two years since the FDA announced its intention to shine a brighter regulatory light on the use of laboratory-developed tests (LDTs), a clear dividing line has emerged in the molecular diagnostics world. On one side are manufacturers of tests and diagnostics, companies that have invested significant time and money to subject their products to the testing and scrutiny needed to gain FDA approval. On the other side are pathologists who work in academic medical centers or health systems labs, and who have long used these tests as part of their daily routine to diagnose health conditions and disease. These labs operate under standards established in 1988 by the Clinical Laboratory Improvement Amendments (CLIA), which is administered by the Centers for Medicare & Medicaid Services (CMS). The FDA has signaled its intent to become more involved in the regulation of LDTs off and on for the past 20 years. Prior to the draft guidance issued in 2014, the agency last proposed regulating LDTs in September 2006. Its draft guidance for In Vitro Diagnostic Multivariate Index Assays (IVDMIAs), FDA sought to create a new classification of LDTs apparently focused on gene-expression profiling tests that required the application of algorithms to “score” the test results. In 2010, FDA backed off IVDMIA stating that it wanted to focus its internal work not just on a specific subset of LDTs, but instead look into the scope and breadth of the LDT landscape. While FDA returned, at that time, to its stance of exercising enforcement discretion over LDTs—a stance that it contends has led to the erroneous assumption it lacks regulatory authority in this area—IVDMIA clearly showed that the rapid growth of gene-profiling and genetic sequencing was again piquing the agency’s interest in finding some way to regulate LDTs. Manufacturers of FDA-approved tests argue that the parallel structure of FDA on one hand and CLIA on the other creates an uneven playing field. They say, in some cases, a company’s investment in their tests to show their tests are robust, safe, and return valid, reproducible results, are often undercut by clinical labs that create a similar test in-house that does not need to provide supporting data as to whether these LDTs are consistently performing as intended. Without this proof, they contend, these LDTs may often be returning the wrong results, setting doctors on incorrect treatment paths and, as a result, harming patients. Clinical pathologists bristle at the suggestion that their methods are somehow of lesser value to patients and may be doing them harm. They say that the standards required to be CLIA-certified are sufficient to validate that the labs’ processes and procedures meet the highest standard. Further, they point out, clinical labs are not manufacturers and subjecting them to the same regulatory rules as test makers will stifle innovation, and hinder them from creating new tests based on the latest research that can benefit patients quickly. Without the ability to design new tests, organizations like AMP have argued, patients may be denied life-saving therapies. It’s an argument AMP has made since 2014 when FDA released its first draft guidance. In late 2015, FDA announced its intention to move forward with plans to regulate LDTs and released a whitepaper that contained 20 instances it had found of LDTs that had provided erroneous results. It came under immediate criticism from the laboratory industry. “What the FDA was attempting to do was to build a burning platform to fulfill their mission of patient safety. And yes, there were objections to the examples that were cited in the white paper,” said Fritz Eibel, chief marketing officer and senior VP with MolecularMD. “But the intention the FDA had with the whitepaper was to shine a light on a problem that exists when stringent quality controls and SOP’s are not adhered to in clinical laboratories. These are potential issues which exist within the laboratory community, even if their examples were a bit soft. 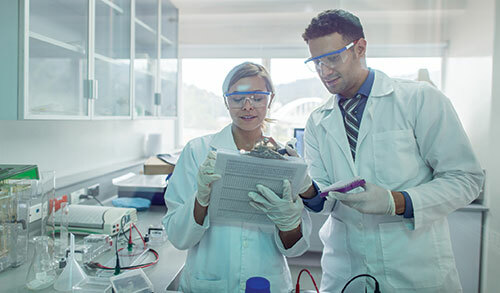 With FDA’s renewed interest in LDT regulation, organizations like the College of American Pathologists (CAP) and AMP have both made proposals to “modernize” CLIA in attempts to reassure the agency that laboratories are taking these concerns to heart, but also to attempt to keep the labs under the purview of CLIA. In AMP’s suggested CLIA modernization proposal, it also gives a nod to FDA to acknowledge that high-risk tests should be treated differently, including IVDMIAs, which raised FDA’s attention more than 10 years ago. While FDA backed down six years ago on regulation of IVDMIAs, it seems unlikely they would pull back completely again. But as the months drag on waiting for an announcement from FDA, some form of regulation of LDTs, especially those classified as high risk seems inevitable. Might there be some form of middle road that takes the middle path and acknowledges the attempts by clinical labs to tighten CLIA? Even if there isn’t some form of a grand compromise, Ramamurthy believes the FDA has a role to play in softening the potential blow to some stakeholders that might arise from the guidance being finalized or LDT regulations. “It is not going to be trivial. It is not going to be easy. It is going to be complicated,” Dr. Ramamurthy said. “But for the FDA to see this done properly, they also need to be helping these laboratories for two reasons. First, to ensure there is no lack of patient access to these tests. The FDA cares about the patient. They are a public health agency.